So you're using JazzHR for recruiting at your company, that's great! While you still have the option to use Collage's Recruiting module, our integration with JazzHR makes it easy for you to quickly onboard newly hired candidates. If you haven't already, go ahead and set up the integration by following these simple steps. When you place a candidate from JazzHR into a "hired" state, they will become available as candidates that are ready to onboard within Collage. 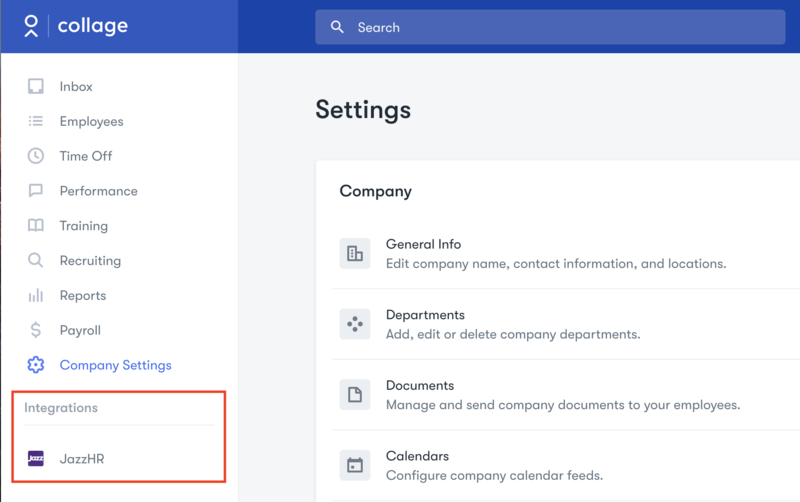 After having completed the integration setup, you should now see a JazzHR module under Integrations in the left navigation panel in Collage. When you go to this module, you can find a list of hired - but not onboarded - candidates from JazzHR. The list may take a few seconds to load, as Collage needs to connect with JazzHR to get the latest candidates. Note: This list will only include candidates hired after the integration is set up. If you have past hires from JazzHR you would like to onboard, take them out of the hired state and then back in again. This will make them to appear in the candidates list in Collage. The only action that can be taken from the list is to onboard one of the candidates onto Collage. 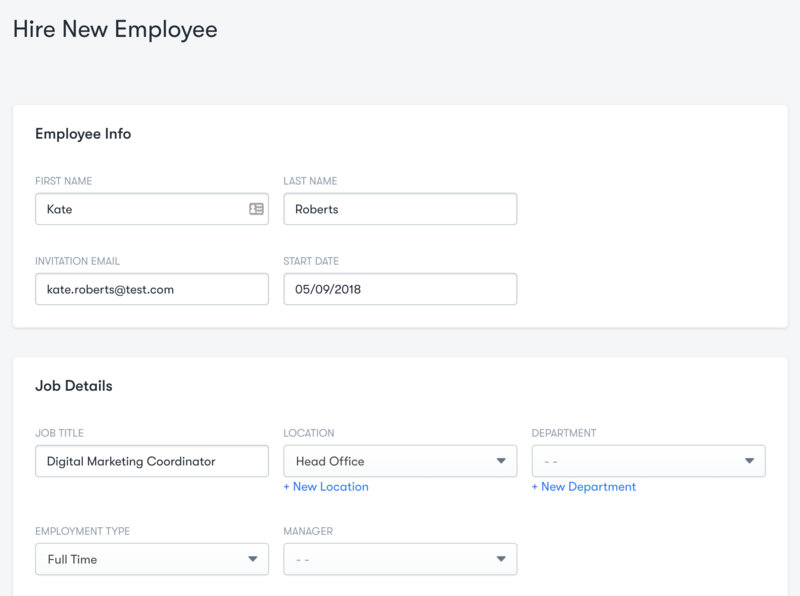 This will take you to the standard Collage onboarding page, with the candidate's name, email, and job title pre-populated into the input boxes. Once the candidate has been invited to Collage, they will no longer appear in the hired candidates list within the JazzHR module.